So here's a blog idea: what inspired your current work-in-progress? Do tell us in a comment or in a blog post (send us the link so that we can list it at the bottom of this post). 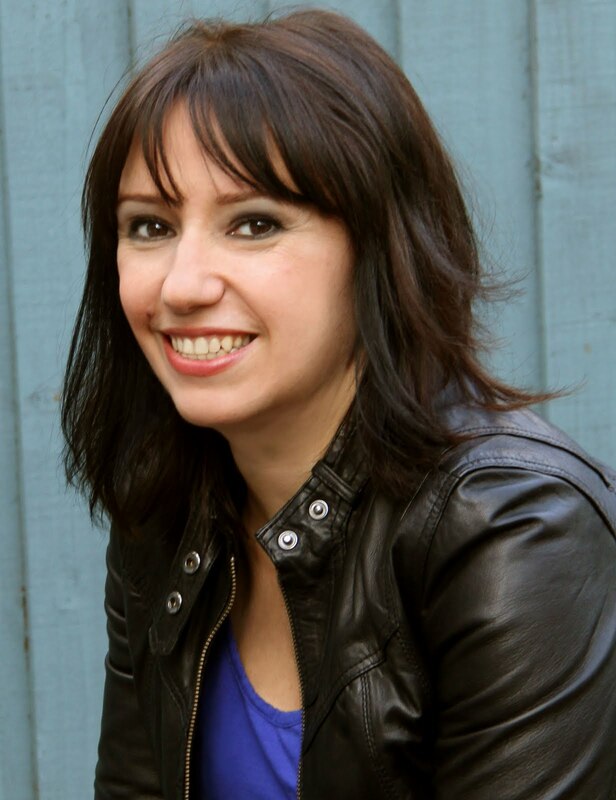 Our askee in this post is Fiona Dunbar, author of Toonhead, The Pink Chameleon, and the Lulu Baker trilogy. Fiona has a new ghost mystery series starring Kitty Slade, who has something called phantorama - the power to see ghosts! 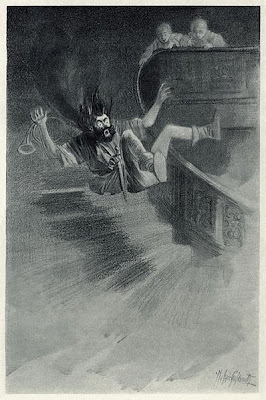 When Candy and I were discussing possible subjects for my Slushpile post the other day, she suggested I might like to do a piece on ghosts in children's literature that inspired me. 'But I can't think of a single one!' I said. And it's true: although I'm writing a six-book series of ghostly mystery stories for children, other ghost stories for kids are not what inspired me to do this. My actual starting point was the desire to write a sort of Famous Five series for the 21st century, i.e. kids solving mysteries. I just find that premise utterly irresistible - always have. Then the ghosty thing started creeping in - as ghosty things are wont to do - and the whole axis shifted. I found myself merging the mystery-solving idea with a draft of an unfinished story from 2005 called Kit & Nan. You know how it is: you start out with a story, thinking, 'this is gonna be great!' and then...pfft. But it was a good premise, and I didn't want to waste it: in it went. Morris is the sublimely revolting creation of Hilary Mantel, in her book Beyond Black. The book is about a medium, Alison, who tours the country doing shows in which she contacts people's dead relatives for them. She is only able to do this because she has a spirit guide - i.e. a ghost that contacts the other ghosts for her. This is Morris. Alison did not seek out Morris: she did not choose him. She just...got him. He is a lowlife, disgusting in ways I cannot mention here; I felt deeply sorry for Alison, while at the same time weeping with laughter. What a delicious irony Mantel has presented us with: without Morris, Alison has no livelihood - and yet he is unbearable. Alison wonders what she did to deserve him: he chuckles and says 'count your blessings girl, you fink I'm bad but you could of had...Pikey Pete [or] my mate Keef Capstick.' I shuddered to think what Pikey Pete or Keef Capstick were like. I don't have anyone quite like Morris in the Kitty Slade stories (God forbid!) but there is a character in book four (sorry, you'll have to wait a while!) that in retrospect I realise probably owes something to Morris, in that she's extremely annoying but unavoidable, as Kitty needs her help. I thought about putting Jacob Marley in this list, but then I remembered that although I am a huge Dickens fan, A Christmas Carol is my least favourite of his works. And actually, the ghosts in my stories are not in the least bit like Marley. And nor, indeed, is Oscar Wilde's Canterville Ghost. He would so love to be Jacob Marley: he rattles chains and suits of armour and tries all manner of tricks and guises to scare off the Otises, the American family who have just moved into Canterville Chase. But when he appears to Mr Otis, complete with Marley-esque rusty chains and manacles, the American merely presents him with a bottle of lubricant, and goes back to bed. When he moans and groans in the night, Mrs Otis offers him a cure for indigestion. The younger Otis children actually end up terrifying him, rather than the other way round. Interestingly, it is only the teenage daughter, Victoria, who takes him seriously, and wants to help him reach his final resting place. In a similar way, Kitty's objective in each of my stories is to help a ghost to carry out the unfinished business that's keeping them trapped in the mortal realm. I don't think you have to have a scary ghost in order to have a scary ghost story: it helps, but a lot of the build-up of tension - in my stories, at least - has to do with the perilous situations Kitty and her siblings find themselves in, as a result of the ghostly intervention. I cannot overstate how much I rate this film. I majorly heart it. And when a book or a movie affects you in that way, it seeps into your DNA, becoming a part of what you produce. It helps that I was roughly the same age as its protagonists when it came out: I was slap bang in the middle of the target demographic. But more to the point, it is the best example I can think of anywhere, in books, films, TV, of something that is both funny and scary at the same time. And that is what I set out to do with Kitty - albeit in a PG-rated way! I hope I succeed. Of course, An American Werewolf is not a ghost story but a horror film. But there is a haunting of sorts - though in this case by the character Jack, who is undead, rather than properly dead. But unlike the zombies you usually encounter in horror films, Jack has an agenda: there is something that must happen (in case you haven't seen the film, I won't say what!) in order for him to be released from his purgatory-like existence. In a similar way, all the main ghosts in my Kitty stories need her to do something, so they can be fully released into the spirit realm. As I have remarked elsewhere, I couldn't have given Kitty a dog - especially one that went round with her all over the place, being her canine assistant. 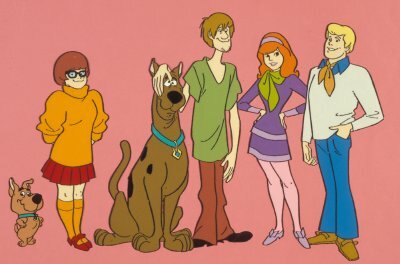 Not only would that have been too Famous Five, but what with the ghosts and the camper van, even a non-talking dog might have tipped it too much in the direction of Scooby-Doo territory. Not that I felt any special need to add a dog anyway, I should add. So what is it about all those childhood hours of watching Scooby that informed what I'm doing now? Again, it's just in my DNA. I like that combination of ghosts, fun and mystery. The 'mysteries' in Scooby-Doo, as I remember, always seemed to end up with some fraudster pretending to be a ghost, but we didn't care: it was just so much fun. Ghosts + fun + mystery: that is exactly what I'm doing here, pure and simple. Only with, dare I say it myself, proper mysteries with outcomes you're not going to guess. This deserves a special mention, even though you could say it doesn't count as pure 'inspiration', as I didn't read it until I'd already written Kitty books one and two. But inspiration doesn't stop happening once you've embarked on a project: it goes on happening. 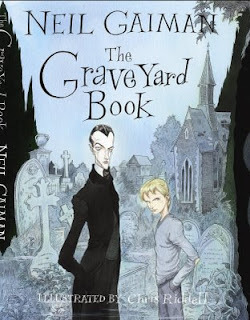 Neil Gaiman's The Graveyard Book rightly attracted a clutch of awards, while up and down the country and around the world, other authors were slapping their heads, crying, "a Jungle Book set in a graveyard: why didn't I think of that?" I was one of them. A Mowgli figure, only raised by ghosts...how fantastic! Incidentally, the graveyard of the title is based on Highgate Cemetery, which is near where I live - but I won't be setting a Kitty story there. Wonderful though it is, I feel it's been 'done' enough already. There is, however, another spooky North London setting that I will be using in the sixth book. Kathy: Sean of the Dead does do scary/funny successfully, you're right: favourite moments are hungover visit to the corner shop, oblivious to zombies all around, and that sublime slip on the blood on the floor; scene in garden, throwing old LP's at zombies. HOWEVER: it goes massively downhill in the last third, imo. Not as good as Werewolf, with its genuinely heart-rending finale. Also, the zombies are just...zombies. Nick: ah, music! And music videos. I could also have mentioned Gorillaz and 'Dare', which is a little piece of genius. Fiona, I had exactly the same problem with Shaun of the Dead. In fact you could say it inspired me because I wanted to not fall into the same zombie cliches that it so gleefully included. I think it's actually more disappointing when a story starts brilliantly and then goes off, rather than something that's mediocre all of the way through. SHAUN of the Dead: thanks of reminding me of the correct spelling! Agree, Nick. 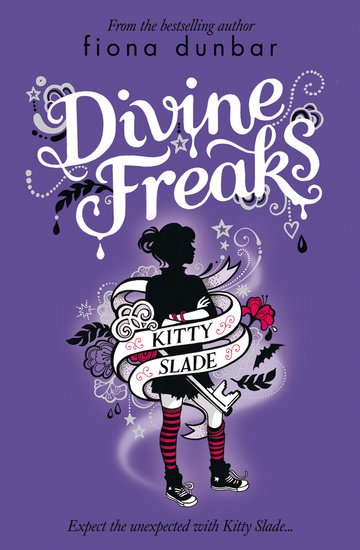 Great post, Fiona - like Kathy, I'm now going to put Kitty Slade at the top of my reading pile. The Famous Five with ghosts - genius idea. Wish I'd thought of that one first! I'm writing a timeslip story at the moment, where the main character goes back 200 years. I've realised during the writing that Tom's Midnight Garden was a big inspiration - I love the idea that both children, who lived in the same house at different times, are completely convinced that they are real and the other child is a ghost. My current work-in-painful-progress is a thriller - or so my editor tells me. i was struggling with my strange story until i re-read one of my favourite short stories by Ray Bradbury - All Summer in A Day - about children living on Venus who have only known rain, experiencing sunshine for five minutes. Totally changed my approach to my story! Expect lots of rain. Thanks for the post, Fiona. i got the idea for my novel on extreme face pulling from Tony Ross and his picture book Don't Do That! It's about a girl who gets her finger stuck up her nose and I started wondering what else children are told not to do and what else can get stuck. What a killer first line. I wish I wrote it. Ah, loved reading this so much. Am with you on American Werewolf and Scooby and others. I am a great quivering jessie about ghost stories but can't resist them at the same time. I managed to scare myself so badly with Sarah Waters' The Little Stranger that I lay with my eyes bolted open for about three hours one night. @Teri you're right, that's a KILLER killer first line! 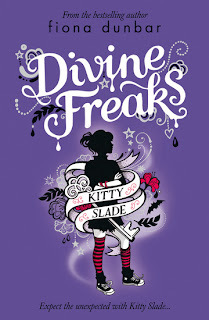 Well, I just read the first Kitty Slade and loved it - it's extremely creepy and very entertaining. Fiona, I was wondering whether to tell you this (didn't know if you'd be pleased or not!) but after reading your post here, I think I can - I actually did find myself thinking 'Nancy Drew meets Scooby-Doo' as I was reading it - which is a compliment as I loved them both: wonderful fast storytelling,and 'plucky girl takes on ghosts'! Dark Matter by Michelle Paver is the scariest ghost story ever! I'd already started my current wip when I read it, but I think it influenced me to lean more heavily towards the supernatural side of the story. Or is it supernatural...? I've realised that some of my favourite ghost stories are the ones where you're never quite sure if it's all your (or the protagonist's) imagination. Whistle And I'll Come To You, My Lad is a classic. 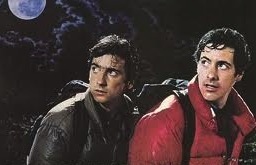 And yes, I LOVE American Werewolf in London! Haven't watched it for ages, and must do again. And I must buy the Kitty Slades for my own Lulu, who loves to be scared, but isn't quite as ready as she think she is for the really dreadful monster story she picked off my shelf the other day...! Helen: ooh, thank you! I'm chuffed. And yes, time and again, it isn't until I'm well under way with something that I'll think 'Ah, I know where that came from'. Caroline, I still haven't read The Little Stranger, but I should! Intrigued by A Certain Slant of Light too, Teri: thanks both! And Gillian, am absolutely going to read Dark Matter...coincidentally, Kath just recommended it to me only yesterday. I hope Lulu enjoys Kitty Slade! But the inspiration for my current historical WiP (Pest Maiden: Against the horrific backdrop of pestilence and war a young girl has to fight against her reputation as the plague bearing pest maiden.) came from reading The Time Traveller's guide to Medieval England as i sat around a pool in Crete last summer. I've become completely obsessed with the middle ages as a consequence and am having to fight hard not to include every fascinating detail i've learned in what i'm writing! Great post, Fiona! I love the Canterville Ghost and his thoroughly unreasonable reasonableness! For me, the all time favourite ghostly inspiration must be Wilkie Collins' The Woman in White - and I have to say, Chris Priestley picks up on that beautifully in his book the Dead of Winter. And of course, one can't omit Edgar Allan Poe when considering things gha(o)stly, or Tim Burton when considering equally ghostly and ghastly things - think Beetlejuice and the Corpse Bride. Kitty is now going on my book order list! Addy and Nicky: yes, Hill, James, Collins, Poe...all good. None had any part in influencing what I've done here: very different territory. I must read The Dead of Winter...Oh, all the books I have still to catch up on! And yes, The Others is brilliant too – again, in a very different way. Even Tim Burton is, actually: I'm a fan, but I don't think he really influences me at all.